I recently received an email from a former student who is interested in starting up a magazine with a friend. She sent me a slideshow of the plans they have for the magazine and asked for my advice. I typically receive an email like this at least once a year. I applaud students who are interested in creating their own start-up magazine. The students may not make any money from the venture, but they are having a valuable learning experience. Going through the planning process and then (perhaps) creating the magazine lets them practice skills that will help them in a number of jobs. In this time of limited jobs and internships for college students, publishing your own magazine can let you create your own internship. Books, magazine articles and dozens of blog posts have been written about how to start a magazine. Let me offer seven basic tips for planning to start your own magazine. One of the most important steps in the process is deciding who the target audience is. Consider demographics, like age, gender, income level and ethnic background. Also consider psychographics, such as hobbies, activities, social concerns (environment, immigration, etc.). 2. Determine your delivery method for the magazine. Will your magazine be printed or online? Let’s start with the print magazine, as most students who talk with me about wanting to start a new magazine want it in print – often with high stock paper. But that is an expensive printing format. Will you be able to generate enough ad sales (or other income) to pay for printing? A good way to help make that decision is to take a sample of the kind of magazine you want to print to a printer and ask for an estimate. You’ll want to have considered how many pages the magazine would be and how many issues will be printed. You also need to consider the amount of color you’d want to use and the kind of paper. Knowing the “bottom line” for printing can help you realize the amount of income you’ll have to generate. On a campus like the University of Florida, students can pick up a number of newspapers and magazines for free. So you may have to generate all the income from advertising. Also keep in mind that if you have a print magazine, you will need to determine how it will be distributed. Most campuses have policies about how materials may be distributed. You may have to pay to have distribution boxes on campuses. You may not be able to have the staff stand around campus handing out the magazine. You may have to pay someone on staff (or at least pay for gas) to have someone driving around town dropping off your magazine at businesses that are willing to have them on site for customers to pick up. Once you’ve determined the delivery approach, you can determine your budget. How often do you plan to publish — monthly, quarterly? How much money will you need to generate? How are you going to manage that money? You don’t want to put the money in your personal checking account, or that would appear to be personal income. You’d have to pay income taxes on that. So you would need to set up a separate business account. In most states, that requires setting up the business officially – with forms to fill out and fees to pay. 4. Conduct a market analysis that includes evaluating your competition. In a university-focused town like Gainesville, students who are interested in starting a new magazine often say their magazine’s target audience is college students. But Gainesville already has several publications that are targeted to college students. So who is your target audience of college students, and how will you make them more interested in your magazine than the others that currently are available? That process also helps you determine which businesses and services could be potential advertisers in your magazine. Most of those businesses would be advertising in the currently available publications, so how you would get them to switch to paying for ads in your magazine. 5. 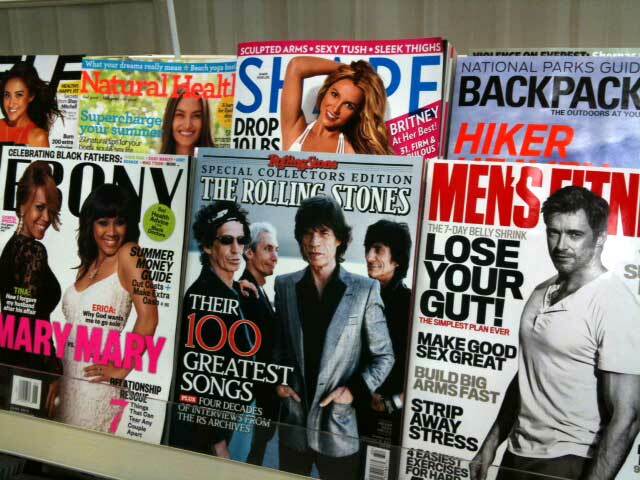 Determine your magazine’s content. You have determined your niché audience and have determined the other area media that could be competing for your audience. So what will be your content and how is that content different from the content that already is available? A good activity can be to plan out an issue of your magazine. If you are planning on a traditional magazine format, plan out page-by-page of the magazine. If you are planning a blog approach to the magazine, plan your page tabs and then what would be the content of each tab. You’ll find that having a prototype of the magazine will be very useful in helping potential staff members understand your vision for the magazine and will let advertisers see your product. Next, develop guidelines for your writers and photographers. What kind of articles are you looking for – provide both sample topics and what you want in terms of word count and writing style — first person accounts, how-to explanations, reviews, Q&As, interviews. If you are targeting college students who are interested in fashion, you will want to have photos as well as stories about fashion trends. If you are targeting college students who are looking for something to do on weekends, you will want to have a calendar of events that is up-to-date and accurate. And are these students looking for new bands playing in local clubs or for state parks that are within 50 miles of campus? What are the expectations for photographs and captions? That includes both the kinds of the photos and the technical aspects of the photo in terms of file size and photo resolution (which would depend on whether your magazine is print or online). 6. Develop a staff structure and recruit your staff. Decide what personnel you need to keep the magazine going. You don’t want just two or three of you to take on the whole operation. That could work for the first edition, but you’ll burn out. You also don’t want to have so many section editors and managers that coordinating efforts is too complicated. Whether your magazine is print or online will make a big difference. Will you need to have an advertising sales staff? Will you need someone who knows enough about online to know how to tag photos and consider SEO (search engine optimization)? For the former students of mine who are trying to start a magazine, they are fortunate that they have a lot of potential talent on campus for a magazine staff. Many students – and not just those majoring in communications – are interested in writing or taking photographs for publication. You may be recruiting from the college of business to have students with a business background to help with that side of the magazine. Develop an application process. Those who are interested could email the editor answering a few questions and providing an example of writing, photography or design. You also need to determine what the compensation will be. Will you have funds to pay staffers? Will everyone be working as a volunteer? Many students are willing to contribute their efforts for free to have the resulting publication as part of their portfolio. Decide how you will be meeting with the staff. You may not need to meet with the whole group but can work with individual editors. Meetings can be through Skype rather than trying to get everyone in the same location. 7. Develop your social media plan. Whether your magazine will be printed or online, you need a social media plan. Create a Facebook page for the magazine. Set up a Twitter account. Determine who you will use each to create buzz about the magazine. You don’t want to have great fan-fare for two or three days around the distribution of the magazine and then silence until the next issue. That’s just the start of the process. Other tasks include selecting a good title (that isn’t already taken), developing a deadline schedule, and figuring out how to make people meet deadlines. If you’re a college student, you also have to think about how to manage your own time to lead the magazine and also get other things accomplished, like being prepared for and attending class. This is a great post, Prof. Dodd! Very informative. I found this helpful, am a student at Kampala International University. Am taking an initiative to start a magazine and stop being a job seeker after school but a job creator. Thanks again.